When will be The Open Road with Dr. Chris next episode air date? Is The Open Road with Dr. Chris renewed or cancelled? Where to countdown The Open Road with Dr. Chris air dates? Is The Open Road with Dr. Chris worth watching? The veterinarian travels the world, uncovering the best-kept secret in each region. In Canada, Dr. Chris joins a special wolf pack, and learns the origin of wolf dogs; Chris visits bear country and sees bears coming out of hibernation. Chris travels to Abu Dhabi to help some unique pets; a remote outback to uncover Australia's best-kept secret; a tour of Chris's hometown. A live volcano on the island of Vanuatu; a visit to Abu Dhabi; sled dogs in the Australian Alps. Unique birds on Lord Howe Island; Dr. Chris tackles gravity-defying challenges, including climbing a coconut tree. 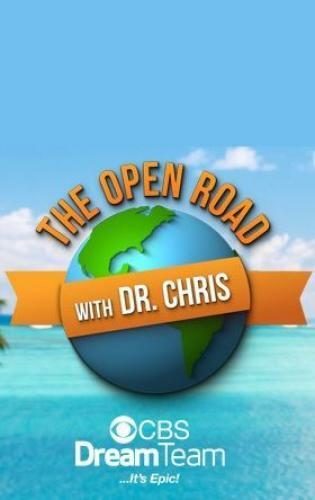 The Open Road with Dr. Chris next episode air date provides TVMaze for you. EpisoDate.com is your TV show guide to Countdown The Open Road with Dr. Chris Episode Air Dates and to stay in touch with The Open Road with Dr. Chris next episode Air Date and your others favorite TV Shows. Add the shows you like to a "Watchlist" and let the site take it from there.